A question I have been asked many times over the years and even pondered myself when I was in the street is what are the qualities of a good EMS medical director? Like you, I had my share of EMS medical directors, good and bad, each with their own unique qualities. As I grew as a young EMS medical director, I sought to distill and emulate these qualities from my mentors and from EMS medical directors I respected. While a good EMS medical director does not necessarily need to possess all of these qualities, good EMS medical directors demonstrate many of these qualities and the exceptional EMS medical directors demonstrate all of them. Here are the qualities in no particular order. 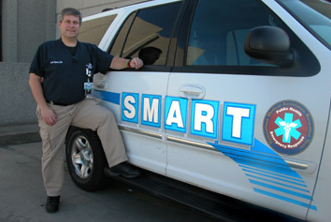 An EMS medical director is a teacher and mentor. A good EMS medical director is like that good coach. They want you to succeed and want you to do well. They want you to improve what you do. A good EMS medical director serves as that EMS coach by helping support the EMS providers they oversee and boost them up, supporting each provider on their personal journey of improvement. An EMS medical director is fair. EMS medical directors are responsible for the quality of care provided from the EMS clinicians. As part of this, the EMS medical director is asked to review and evaluate complaints about care or when the usual performance improvement process identifies opportunities for improvement. The EMS medical director needs to evaluate the situation in a fair and objective manner. As part of this, any plan of correction or remediation needs to be reasonable and fair, taking into account the specific provider and situation. An EMS medical director isn’t afraid of getting their hands dirty. Not all EMS medical directors came from the street, although this is becoming more and more common that EMS medical directors have has some prehospital experience prior to medical school. Many emergency medicine residencies include a component of direct prehospital care and the EMS Fellowship standards include a heavy field response component. Regardless of educational background, the EMS medical director shouldn’t be afraid to get their hands dirty and jump in to help support their providers on runs or demonstrate hands on skills in labs and skills fairs. This also includes getting their hands dirty from an administrative standpoint and being an active contributor in developing and managing the training and performance improvement programs. The EMS medical director shouldn’t also shy away from providing input on operational issues, from crew composition to deployment. An EMS medical director is approachable. This is a corollary to the first quality. In order to be an effective coach, the EMS medical director needs to be approachable, whether it is about a clinical question, a personal concern or a quality of care concern. Many EMS medical directors are contractors to the agency and not agency employees. This arrangement provides some independence from the typical hierarchy that exists in many services. The medical director is that independent voice with a focus on quality patient care and can be a “safe” person to discuss care or operational concerns. A good EMS medical director knows the literature. We all should be practicing evidenced based medicine, where we use the information gleaned from studies, especially those that look at patient outcomes, and develop our treatment guidelines based on the literature. The medical director should be reading the literature, attending conferences and webinars and involved at the state and / or national level to get the latest information and understand the latest trends and technology in providing prehospital care. This also means the EMS medical director should know how to apply this information to each specific agency. Each agency is different and while a study may conclude one thing, if the patient population is different or the service composition is different, then the study conclusions may not apply to that service. A good EMS medical director knows how to work through this evaluation to develop policies, procedures and guidelines that fit for the population served. So what do you think? Are there qualities I have left off? Any corollaries to these five qualities? Please comment below and as always, feel free to e-mail me.